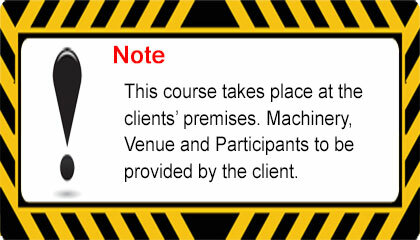 The Articulated Dumper plant training and assessment programme enables experienced construction site plant operators to gain recognition for their achievements via certification and provides them with the opportunity to demonstrate the skills and knowledge associated with plant operations, leading to suitable certification. 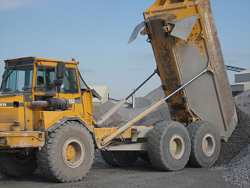 Candidates must be at least 18 years old, have at least 6 months (within a two year period) full time construction site experience operating an articulated dumper, and must have undergone Safety Awareness Training including Employees duties/responsibilities, Health and Hygiene, Traffic Management, and Site Specific Hazards/Safety. Practical Test:- In the practical test the candidate will demonstrate tasks with the dumper. The grading sheet is divided into essential items and scored marks. Scored marks allow a limited number of minor errors to be made. To succeed, the candidate must achieve all essential items and not exceed the maximum score. Candidates who score no marks as well as all the essential marks will be awarded a credit. All practical tasks must be completed within a set time.